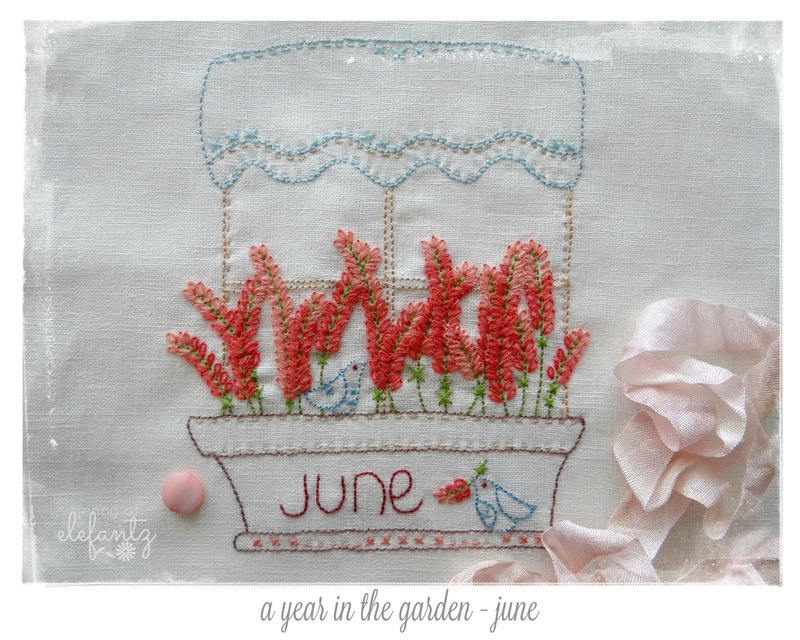 I'm doing something new this month! ...and next month they will receive the July to December patterns. 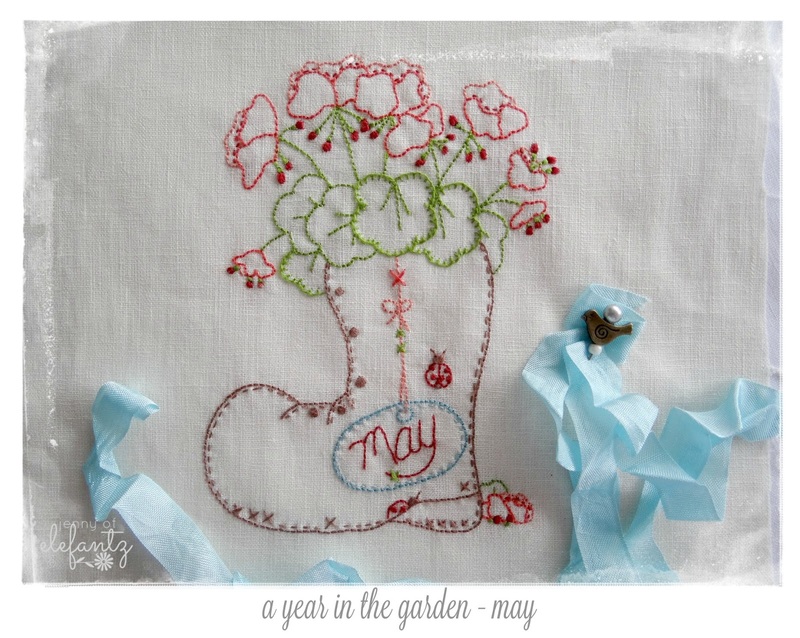 But perhaps you're not a member of The Stitchery Club but would still like to stitch "A Year in the Garden"? Each month I add the Club stitcheries to my shop as six single patterns for non-member purchase, but this month I have the full December issue available for instant PDF download, and I shall do the same next month. Please note: This is a temporary offer. 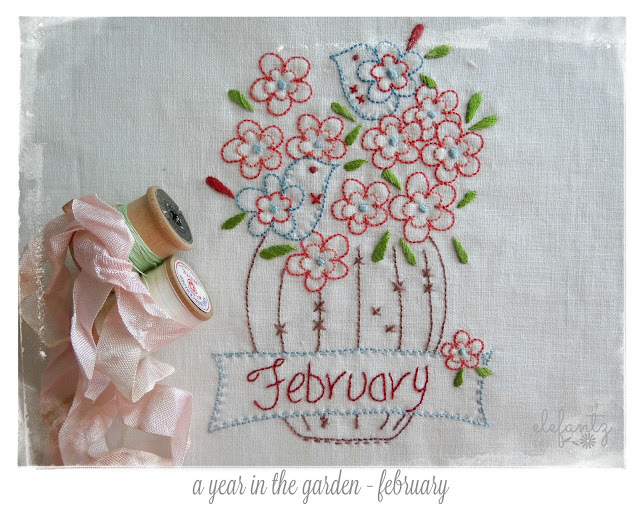 The current issue containing the January to June blocks will only be available until January 16th. 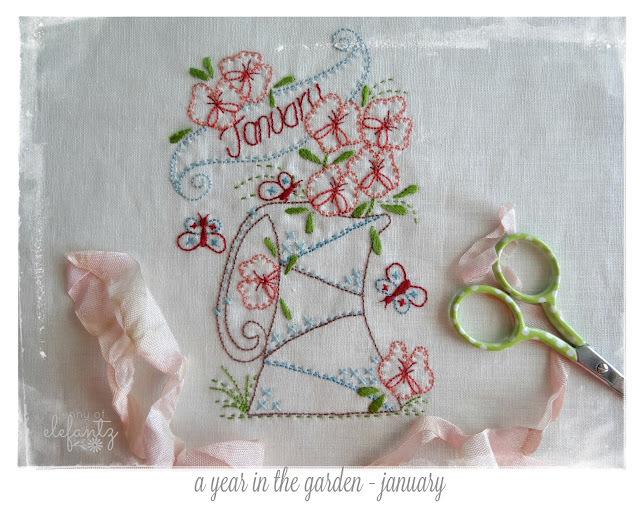 On January 17th I'll have the remaining six designs for "A Year in the Garden" available for one month. Go HERE to my shop if you'd like to start stitching your own calendar blocks! 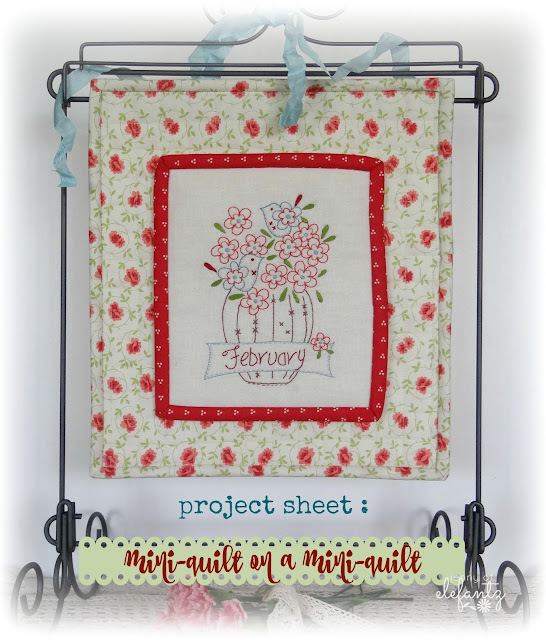 Oh, and I should mention that there's also a project sheet included with a tutorial for making a mini-quilt display. OOO I now have it in my hot little hands to drool over. These designs are exceptionally beautiful. I love my birthday month of March. The daisies, little bird and the picket fence. 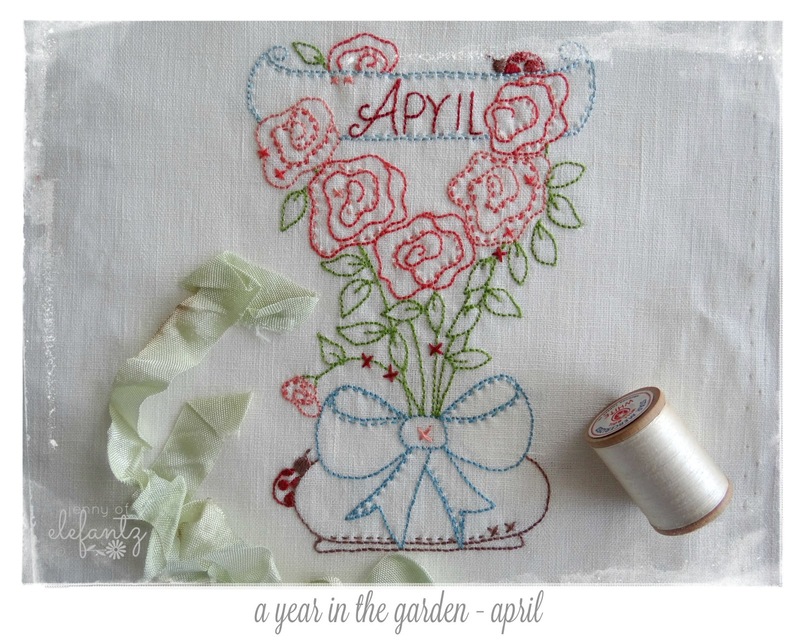 It is like you had a list of my favorite things and designed March. 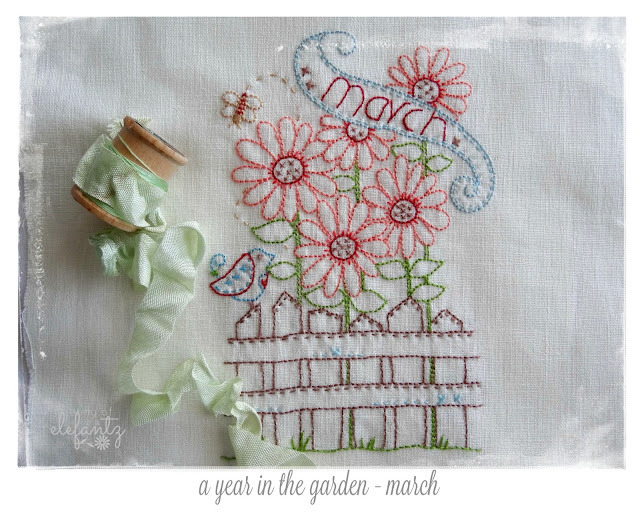 The other designs are lovely also, but March is extra lovely! Hope I can find a mini quilt frame as cute as yours. Thanks so much, sweet Jenny. Merry Christmas to you and Mr. E.
I'm very excited to have received these today. I just love that boot, and I think that will be the first one I do. Thank you so much for sharing your amazing talent, Jenny. love them what a beautiful job you did. Thank you. They are all gorgeous! wow they all so lovely..
Mal posso esperar para receber... Será somente amanhã, devido ao fuso horário! Jenny, I just want you to know that I Thank the Lord for leading me to you and also Thank the Lord for giving you the lovely talent that you have to share the beauty of what he created! Each of these patterns are so refreshing and calming. Thank You for creating and sharing and you have a wonderful creative day! 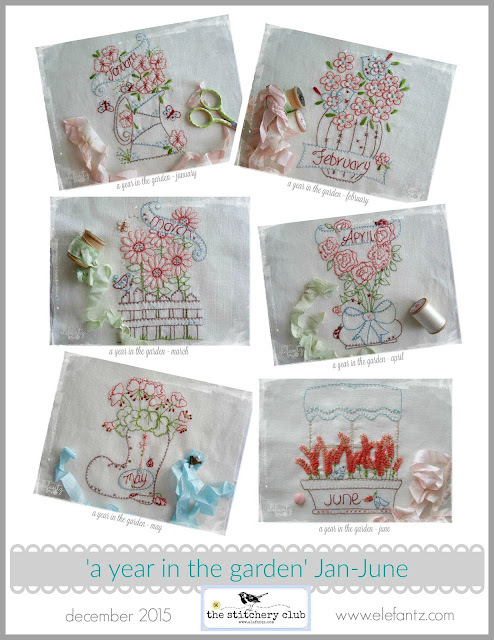 These are so beautiful Jenny. Just like you! Wishing you a very Merry Christmas dear friend! Love ya! These are so gorgeous my dear, and I just love how you've displayed them!!! These are lovely, Jenny. Thank you so much!